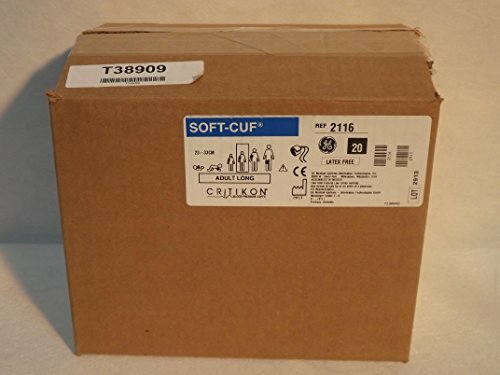 Our most popular cuff, the GE CRITIKON* SOFT-CUF* BP cuff is designed with soft, absorbent material with rounded corners for maximizing patient comfort during extended stays at the hospital. This cuff is ideal for patients with longer-term stays or for protocols where the cuff travels with the patient through their total length of time in the hospital. It can be cleaned and reused on multiple patients, but is priced economically so it can be disposed of after a single patient use, to help you prevent infections at an affordable price.